FACT, an ethics watchdog group, filed a complaint with the IRS against Fair Fight Action, a nonprofit organization founded by Stacey Abrams. FACT says Fair Fight is violating its tax-exempt status by promoting Abrams’ political career instead of solely focusing on its stated goal of promoting voting rights. After losing her 2018 gubernatorial bid, Abrams openly considered a 2020 run for Senate and the White House. An ethics watchdog group filed a complaint with the IRS against Stacey Abrams’ nonprofit organization, Fair Fight Action, alleging it violated federal law. The Foundation for Accountability and Civic Trust (FACT) — a government watchdog group based in Washington, D.C. — said Fair Fight is working to promote Abrams’ political career in lieu of promoting voting rights, which it said would be in violation of its 501(c)(4) tax-exempt status. In its complaint to the IRS, FACT argues Abrams used Fair Fight to promote her own political ambitions. These activities have gone on as Abrams openly mulled a 2020 Senate candidacy and even a presidential bid. Former Vice President Joe Biden is reportedly considering Abrams as his running mate, should he run and win the Democratic presidential nomination. Any political run for office by Abrams, experts argue, would elevate concerns over Fair Fight’s activities. Abrams’ team hit back against the complaint. “We know the playbook for Trump and his allies. They’re going to do whatever it takes to undermine our movement to ensure free and fair elections. 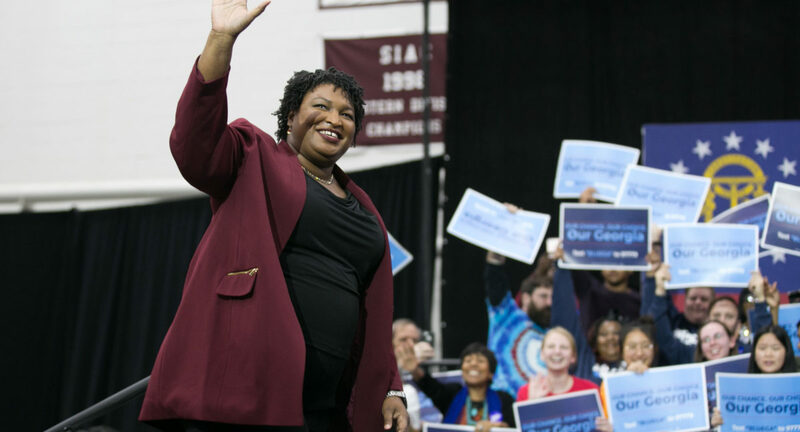 We have to fight back now,” said Lauren Groh-Wargo — Abrams’ 2018 campaign manager who runs Fair Fight — in an email to supporters. Groh-Wargo called the complaint “baseless” and said her group was not promoting Abrams. FACT pushed back against the accusation that it is a partisan organization, pointing out that it filed similar complaints with Republicans as well. This is not the first time a nonprofit led by Abrams received negative headlines. Third Sector Development, a nonprofit launched by Abrams that focuses on registering black voters, has been hit with seven different tax liens over the past few years for unpaid employment contributions. Georgia state regulators filed three tax liens against the group in the past year, and the Georgia Department of Labor filed four tax liens between 2014 and 2016. Abrams blamed the issues on clerical errors.